Do your regular Des Moines, West Des Moines, and Ankeny drives call for a sophisticated compact crossover to effectively take them to the next level? 2019 Kia Soul is one such crossover that deserves to be on your list of options to explore. To highlight a few of this impressive automobile’s many qualities, our team here at Kia of Des Moines has come up with the following Kia Soul Review. Find a Kia dealer near you to check out this car in-person! The Soul effectively enhances your driving experience with plenty of convenience. One area where this is quite prevalent is with the outside mirrors. The Kia Soul is available with heated elements in your mirrors to make sure you’re always getting the clearest view possible no matter what the weather’s doing. The mirrors are also available with a power-folding feature that allows you to fit into tighter parking spots when the need calls for it. The available Smart Key feature with Push-Button Start allows you to lock and unlock the doors as long as you have the Smart Key in your purse or in your pocket. With the Push-Button Start aspect, you can also start and stop the engine without physically inserting the key into the ignition. This feature also includes a vehicle immobilizer that keeps anyone from starting your Soul without the Smart Key. Another convenience worth mentioning is the Auto Light Control. This standard Kia Soul feature gives you optimal visibility by automatically turning on or off according to the availability of natural light. Just as the Kia Soul provides you with an abundance of convenience, it also makes your drives quite comfortable. For instance, the Soul is available with Ventilated Front Seats. These seats give you the luxury of choosing between three fan speeds that send cabin air through the perforated leather seats. 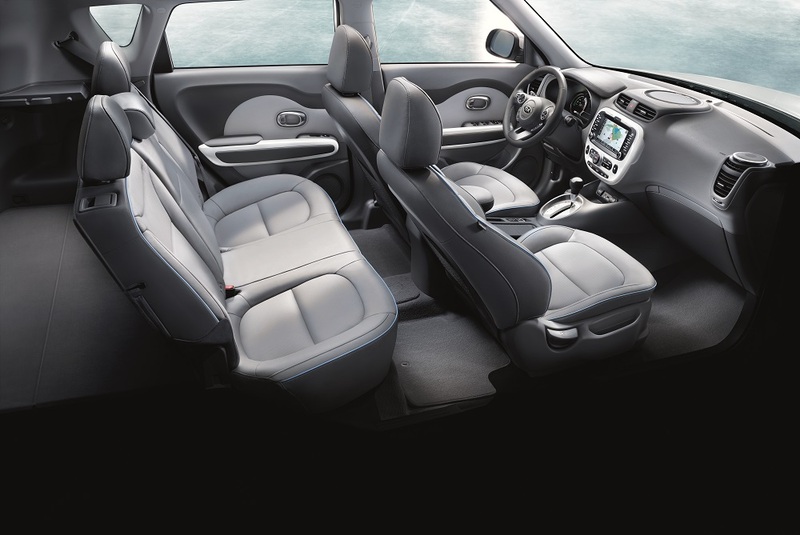 The Soul is also available with heated seats for both the front and back rows. To give you an even more comfortable driving experience, there’s also the available 10-Way Power-Adjustable Driver’s Seat with 2-way power lumbar support. In terms of engines, the Kia Soul has three from which you can choose. The standard engine is a 1.6-liter that gives you an impressive 130 horsepower and 118 lb-ft of torque. 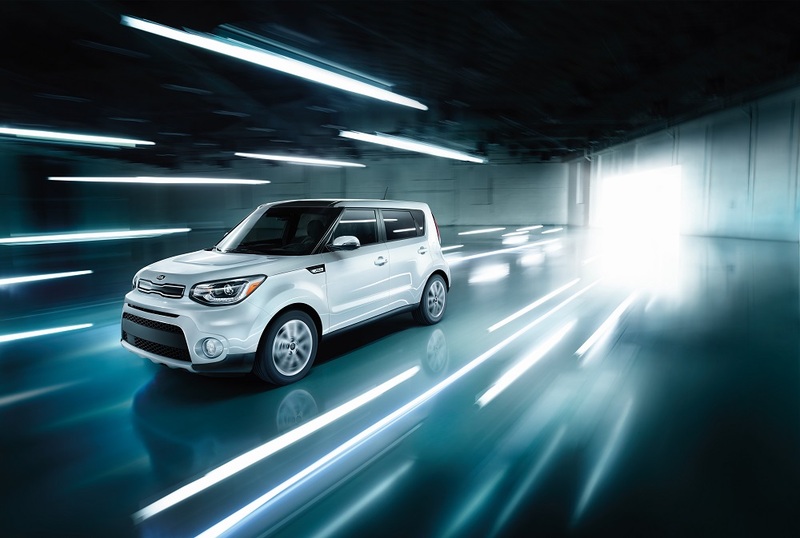 The Soul is available with a 2.0-liter engine that offers 161 horsepower along with 150 lb-ft of torque. The other available engine is a 1.6-liter with Turbocharger that pumps out a commanding 201 horsepower and 195 lb-ft of torque. As the above review shows, the convenience, comfort, and horsepower that the Kia Soul provides, make it a pretty formidable machine. If you call Des Moines, West Des Moines, or Ankeny home, and you’d like to get an up-close look at these features as well as the rest of what the Kia Soul can do, make your way to Kia of Des Moines for your test drive.